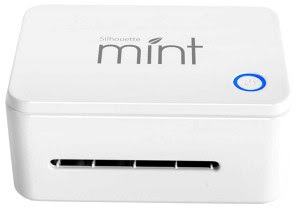 Silhouette is rolling out a couple new and innovative products right now, and the most recent being the Mint Stamping Machine. This mighty little machine is lightweight, and fits in your hand, but is packed full of possibility. Now, when you hear ‘stamping’ you probably just think of rubber or acrylic stamps. Stamps for papercraft? Well, this machine not only helps you create those types of custom stamps, but goes far beyond that and breaks the boundaries of the definition of ‘stamp’. They also have developed custom Mint Inks to use with your stamps. 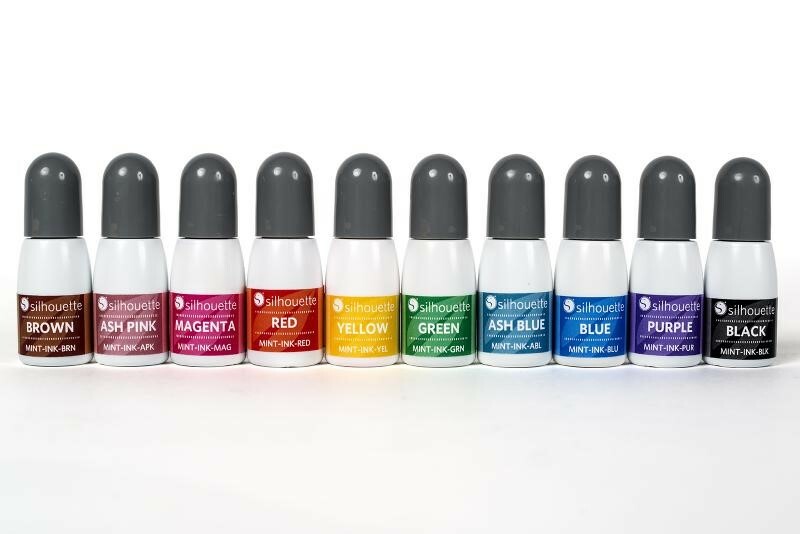 These incredible Inks allow you to stamp up to 50 times before reapplying to your stamp! They come in a variety of colors, but you can mix them and blend them to get the exact color or look you desire. This machine comes with its own custom Mint Studio software. It allows you to create stamps from the Silhouette Design Store, from any font on your computer, or even custom design your own from scratch using the Mint Studio. You can even create a detailed stamp from a photo! The possibilities are endless and it really allows you to get creative. Can’t find the perfect snowflake stamp in the store for your Holiday cards? Create your own with the Mint Studio at the perfect size and even add a word or two! Halloween is coming up quick, and with the Mint you can make a unique printed tee or add embellishments to your costume. Love making all of your Holiday gifts by hand? Now you can take that even further and custom stamp mugs, canvas bags, metal jewelry charms and even shoes or apparel! Not only is this machine an exciting investment for stamping anything and everything! But used in combination with the Silhouette Cameo or the new Curio, the possibilities are endless. Design, print, cut, stamp, ink and produce almost anything you could imagine. Are you inspired? You can pre-order a new Silhouette Mint right now on FotoBella.com for only $119.99. 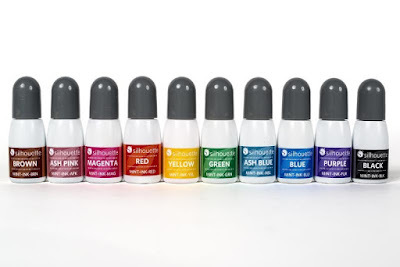 We also have all the Inks and accessories you need to start creating right away! The Mint and accessories are expected to ship from Silhouette in late Fall.